Get started roasting chickens and more, that taste like it was prepared by a five-star chef. Watch your food cook over your Napoleon grill while your mouth waters. 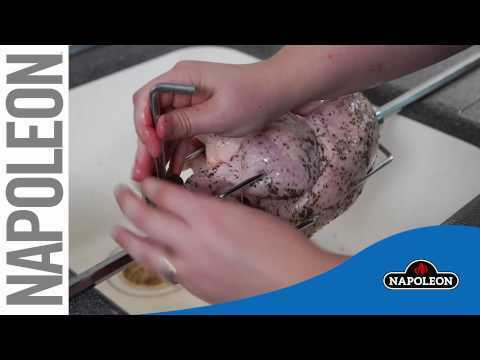 The Napoleon Rotisserie Kit features a comfort grip handle for safe handling, a heavy-duty electric motor, spit forks and a counterbalance for cooking evenly. It will assist you in cooking the perfect, juicy meal every time!